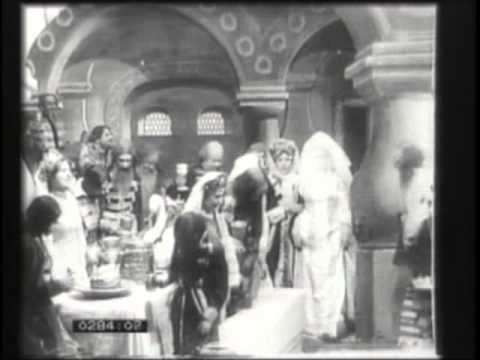 Since this is an English-language blog, I usually privilege the English translation of titles, but in this case there were (at least) two other movies called “The Mermaid” in 1910, so it seems best to stick with the Russian for clarity. I found this the best of the Goncharov movies I’ve seen so far. It resembles “A Sixteenth-Century Russian Wedding,” except that it actually has a plot. We still get the large cast, a simulated wedding night, nicely painted backdrops, and stylized period costumes. But we also get a story from Pushkin, as well. The story is of a young prince, who abandons a miller’s daughter in order to marry another woman, closer to his station. The first girl drowns herself in the river, but then the prince cannot seem to shake her image. On the wedding night, he leaves his bride after seeing apparitions. He returns to the mill, and we see many women emerge and return to the water. Then the miller appears, apparently driven mad by his daughter’s death, but also strangely gesturing about the women who come from the water. The prince follows the apparitions into the water, and next we see his body, surrounded by sirens beneath the waves. 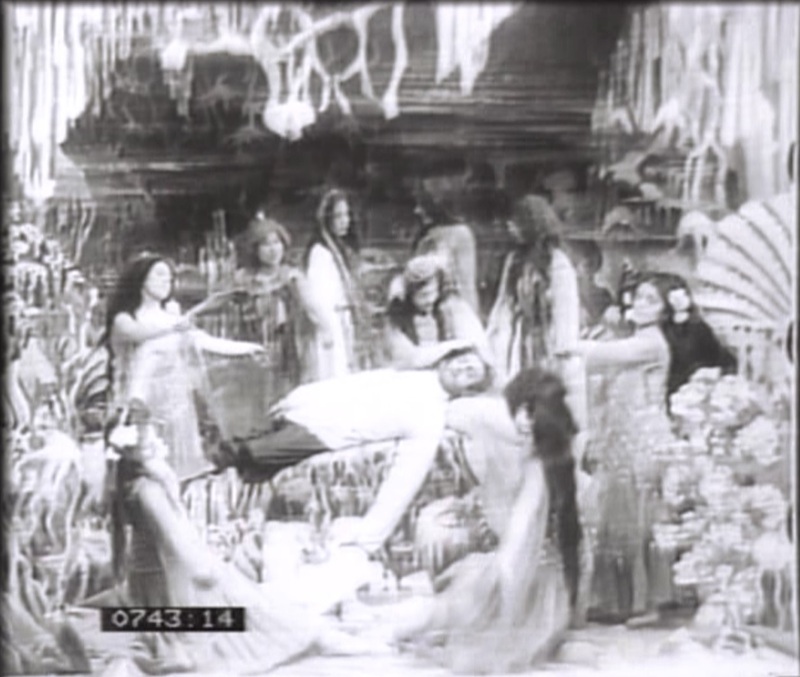 The final scene looks very much like a borrowing from Méliès, with shells and seaweed all around.